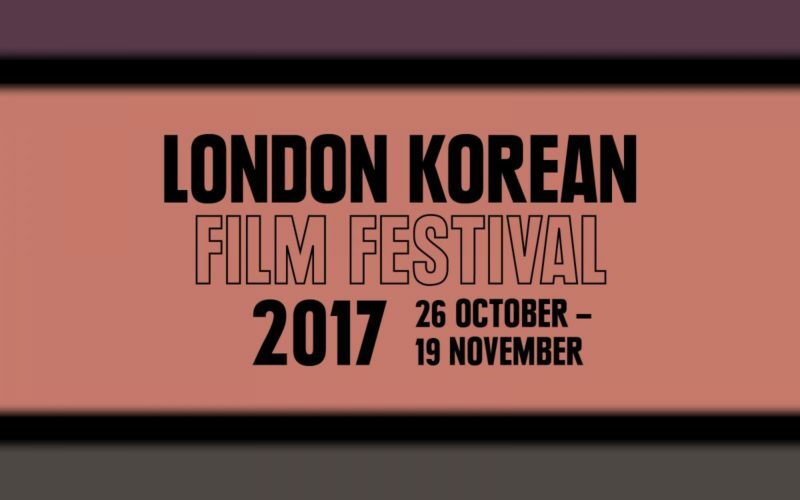 The London Korean Film Festival is now 12 years old, and has firmly established its reputation as the home for exciting, surprising Asian cinema in the Capital. This year – as the cliché goes – is no different: With a special focus on Korean Noir, its programme of over 60 titles has offered unparalleled access into the ‘dark heart’ of Korean cinema. There have been screenings of old classics and – as a sure sign of the festival’s growing importance – UK premieres of big-budget features like The Outlaws, while it’s still showing in Korean cinemas! But it’s not all been crime and stylish noir violence: Through the likes of its (extremely well selected) opening and closing galas of The Day After and The First Lap, this year’s LKFF offers unique insight into modern Korean life, and the less distressing – but no less important! – ‘dark heart’ that can exist in the relationships between its people. President Jin (Lee Byung-hun) is the charismatic head of a vast and successful Ponzi scheme that is secretly defrauding thousands. His operation is airtight; able to dissemble itself and destroy all evidence at the merest suggestion of police interference. 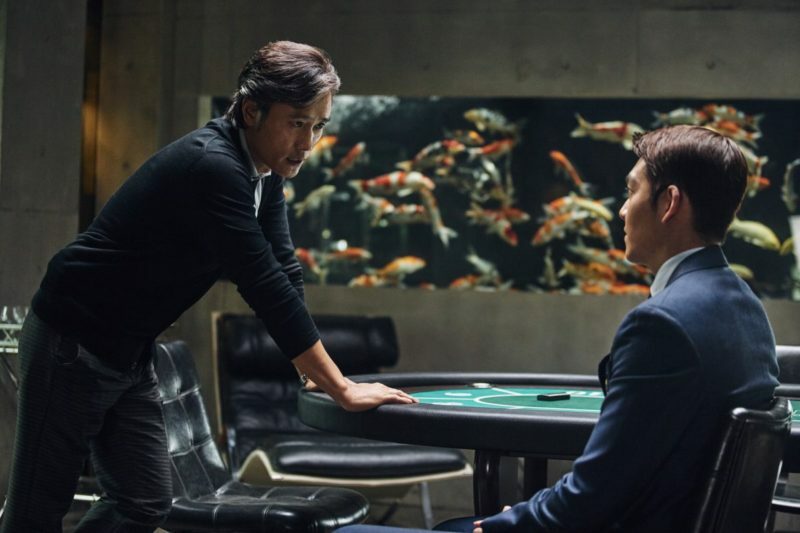 To bring him down, elite financial crimes investigator Kim Jae Myung (Gang Dong-won) recruits one of Jin’s own employees – the cheeky computer whizz Park Jang Goon (Kim Woo-bin) – in an elaborate game of bluff and betrayal. Presented in black and white, every scene amounting to little more than two people sat opposite each other talking, The Day After is a quiet, fascinating little movie. Kwon Haehyo plays Bongwan, the head of a small publishing house. He’s also married, and having an affair with his only employee. When his wife finds out, she comes to his office and physically attacks the first woman she sees. Unfortunately, she gets it wrong: Bongwan’s lover has already left the company, and the woman she’s just slapped is his new employee Areum (Kim Minhee), having a very bad first day at work. 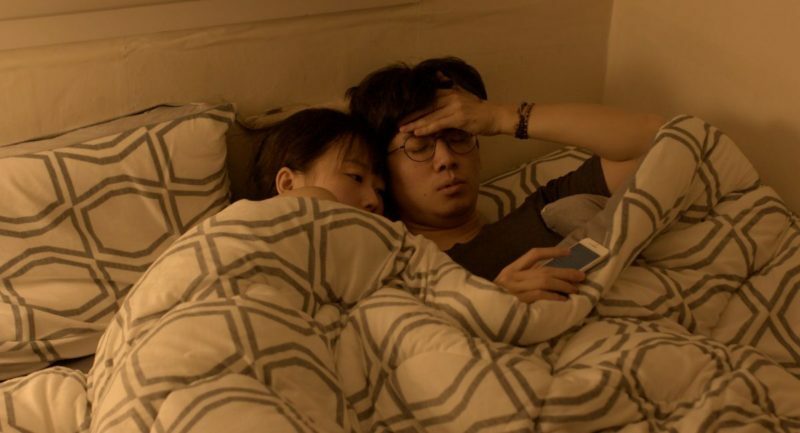 A wonderful exploration of cross-generational attitudes to love and life, Kim Dae-hwan’s The First Lap makes for a delightfully low-key closer for this years’ London Korean Film Festival. 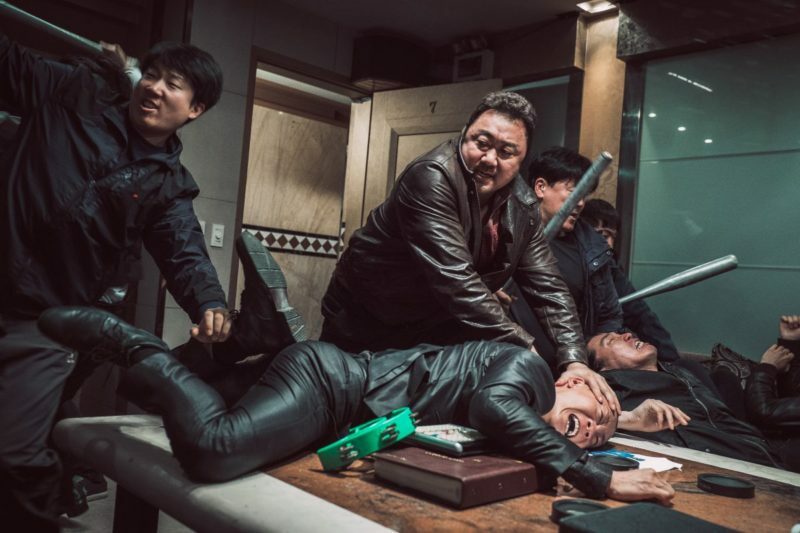 Released from prison after a three-year stint, up-and-coming gangster Hyun-soo joins forces with Jae-hoo, an established figure in the Busan underworld, to make the kind of money they spent their years inside dreaming about. But things are not what they seem, and as they set about organising their ‘Big Score’, it’s clear that one – or both – has a hidden agenda. As events unfold, we repeatedly flashback to prison, where their relationship was born. As their true motives are revealed in the past, you’re forced to re-examine the events of the present. Who is everyone working for? What do they really want? 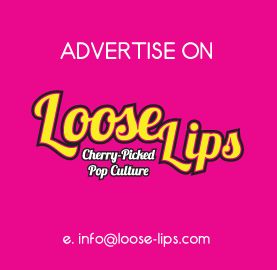 This entry was posted on Sunday, November 12th, 2017 at 9:30 am	and is filed under Events, Features, Film, Review.